Prof. Dr. Nik Ahmad Kamal Nik Mahmod is currently the Legal Adviser of the IIUM. He is the Head, for Governance, Law and Public Management (GPPa) Cluster of the National Professors Council (MPN). He graduated with LL.B from the University of Malaya. He obtained his LL.M from University of London, Diploma in Shariah and Law Practice from International Islamic University Malaysia and Ph.D from the University of Aberdeen, Scotland. He specializes in Labour Law and Industrial Relations Law, Constitutional and Administration Law. He has co-authored books on Administrative Law and Employment Law ... show more that have become important textbooks or references for undergraduate and postgraduate programme in Law and Industrial Relations. He also co-authored a paper entitled a? ?Biosafety Protocol SPS agreement and export and import control of LMOs/GMOsa?? that has been awarded the Emerald Literati Network Award for Outstanding Paper 2009 in the Journal of International Trade Law and Policy, Vol 7, No. 2, 2008. He is currently the Head of Cluster, Governance, Law and Public Management, National Council of Professors. 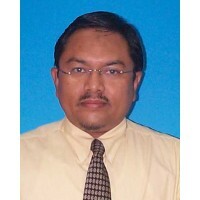 He is also the Panel Auditor for the Malaysia Malaysian Qualification Agency, MQA. He chaired two committees under the Ministry of Higher Education to review and amend the Universities and University Colleges Act 1971 and the Private Higher Educational Institutional Act 1996. He is the Malaysian Liaison for the International Labour Organisation sponsored project on teaching Labour Law at higher institutes of education in the Asian region. At the international level, he was the Chairman of the Board of Governors, Asian Law Institute and the President of the Asian Society for Labour Law. 05 Januari 2009 Emerald Literati Network Award for Outstanding Paper 2009 for "Biosafety protocol SPS agreement and export and import of LMOs/GMOs". Journal of International Trade Law and Policy, Vol 7, No. 2 - National level. 06 Februari 2006 Best Researcher Award. Quality Day 2006 - University level.